A fantastically well presented three bedroom semi- detached home, located in this very popular area of Barrow, particularly ideal for families. 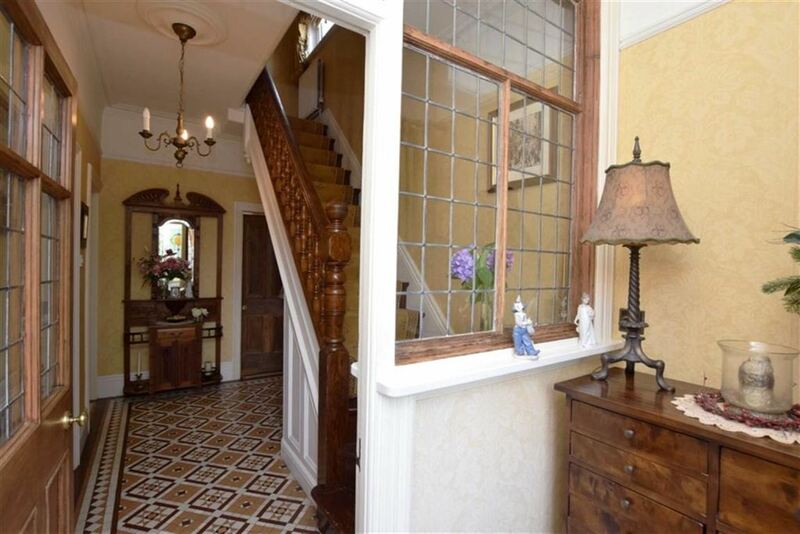 This superb period home is filled with character and charm throughout, with many original features including the fireplace and staircase. There is an extension including a utility room, storage room and WC. A superior family home and one that should be viewed. Approach through the gated entrance over a private driveway for two cars, following the path through the garden to the red brick house with UPVC double glazed door and stained glass panes. Original style cornice with mosaic tiled floor and picture rail. One single power point. Door to the hallway. Single radiator with thermostat, Cornice and mosaic tiled floor, picture rail and original leaded window. Under stairs cupboard. 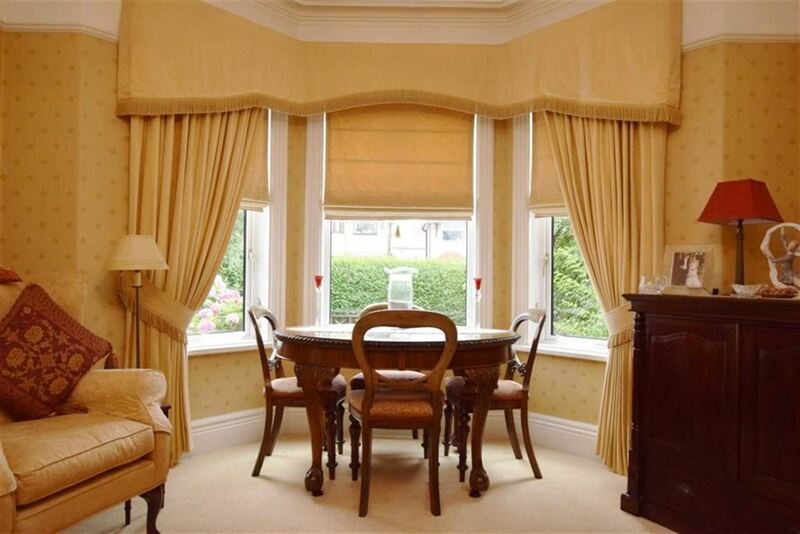 The hallway provides access to both Reception rooms and the kitchen. UPVC double glazed bay window to the front aspect. Beautiful and ornate fireplace with mahogany mantle and surround, Italian slate hearth and gas inset. Cornice and picture rail. Single radiator with thermostat, three double power points, telephone point and TV aerial. 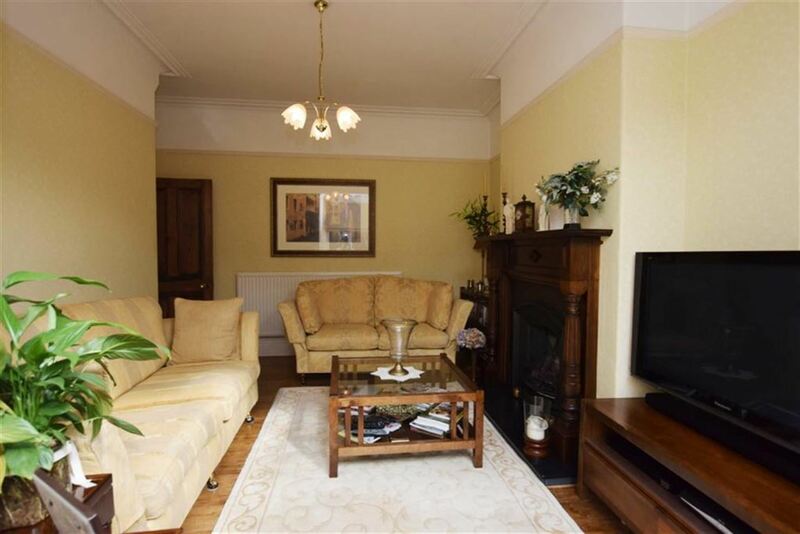 A beautiful room with an array of original features including the stunning original fire place and gas fire inset. Wood door to the hallway. UPVC double glazed door and window to the rear aspect. 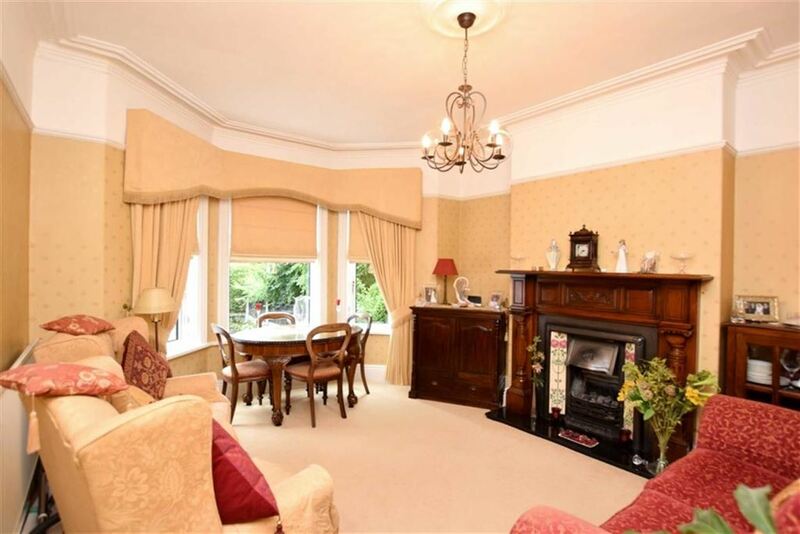 The central feature is the beautiful mahogany mantle and surround with gas fire inset. Cornice and picture rail, oak floorboards. Single radiator with thermostat and four double power points. 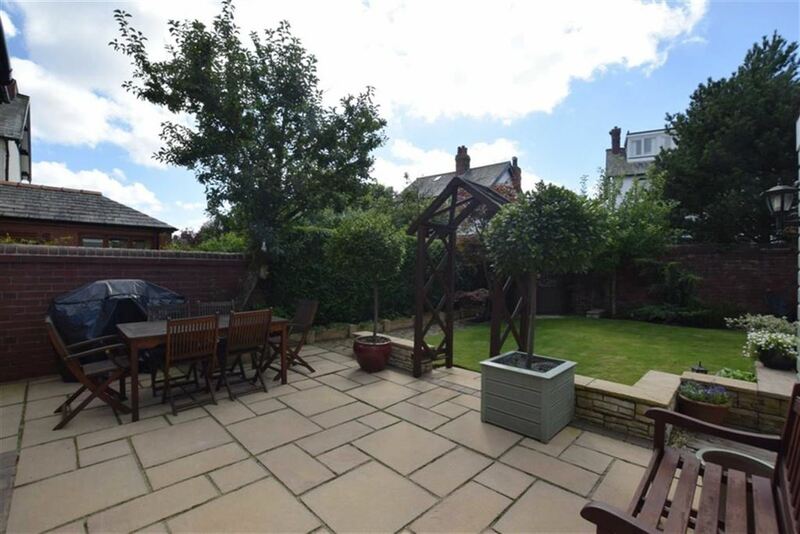 A lovely light room with nice views of the garden. 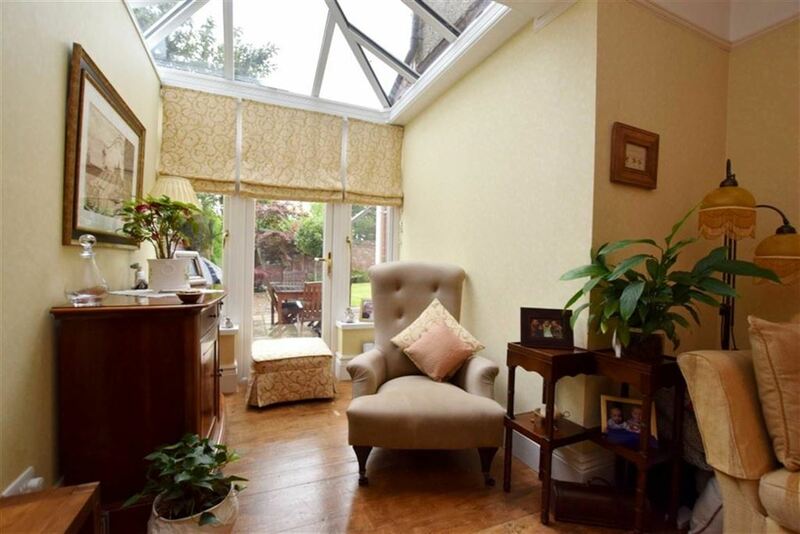 The room is partly covered by a Conservatory style roof providing lots of natural light. Door to the hall and garden. UPVC double glazed window to the rear aspect. 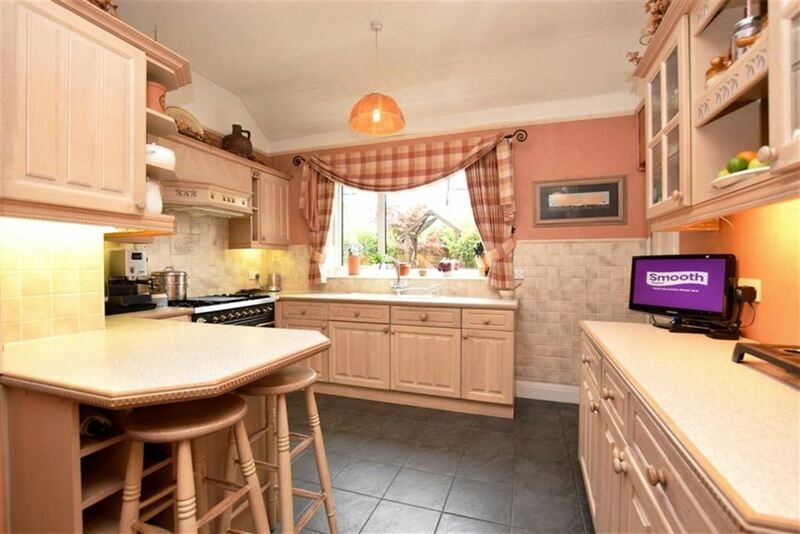 The kitchen has been fitted with a range of traditional and attractive base, wall and glazed display units with picture rail. Double composite sink with mixer tap and inset drainer. Pastel shaded splashback. Fitted appliances to be included in the sale - extractor cooker hood with fan and light, four ring gas hob with BBQ centre. Fan assisted double oven with grill. (Rangemaster cooker). Built in dishwasher. Double radiator with thermostat, four double power points and TV aerial. There is an attractive gas stove heater . The floor is partly carpeted and part tiled. Space for dining suite. Built in storage and door to the extension. UPVC frosted, double glazed window to the front aspect. With work surface and Belfast sink with garden style tap, Triton heated water tap and inset drainer. Recess and plumbing for washing machine, recess for dryer. 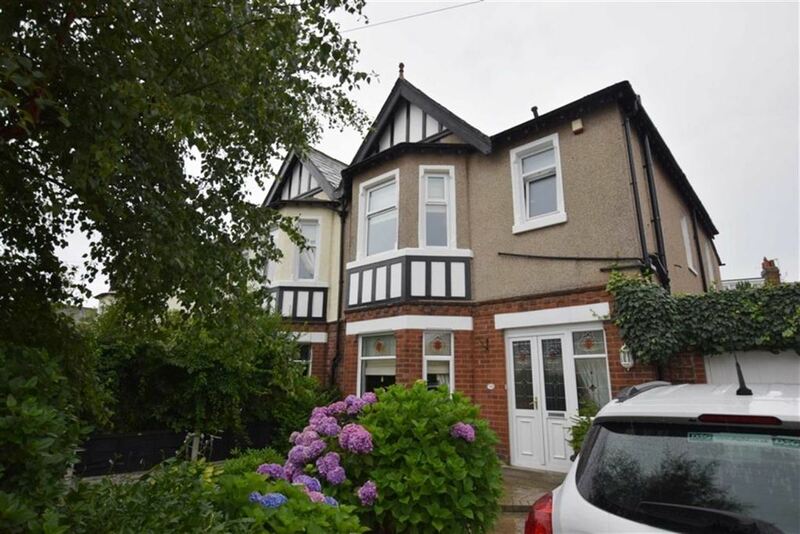 The extension has two UPVC double glazed doors to the garden Frosted UPVC double glazed door to the garage and single glazed window to the side. WC and storage cupboard. Tiled floor. 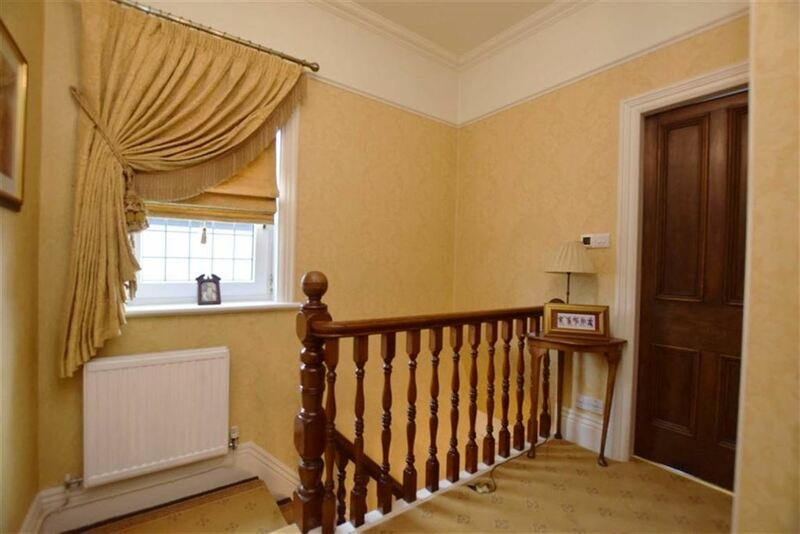 The traditional spindled staircase with wooden bannister provides access to the first floor landing. UPVC double glazed window to the side aspect (leaded cross hatch) Single radiator with thermostat, and smoke alarm. Original wood doors to the rooms. UPVC double glazed by window . The cental feature is the fireplace with wooden surround and mantle. Double radiator with thermostat one single power point. 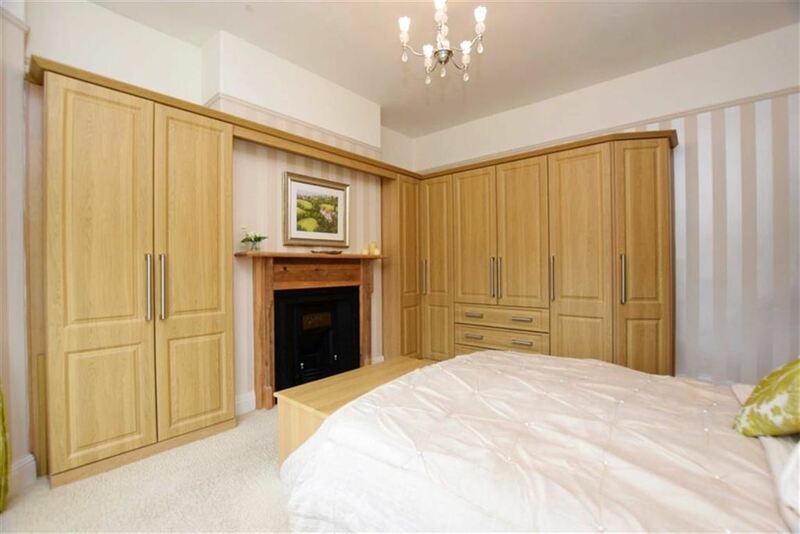 Built in wardrobe. 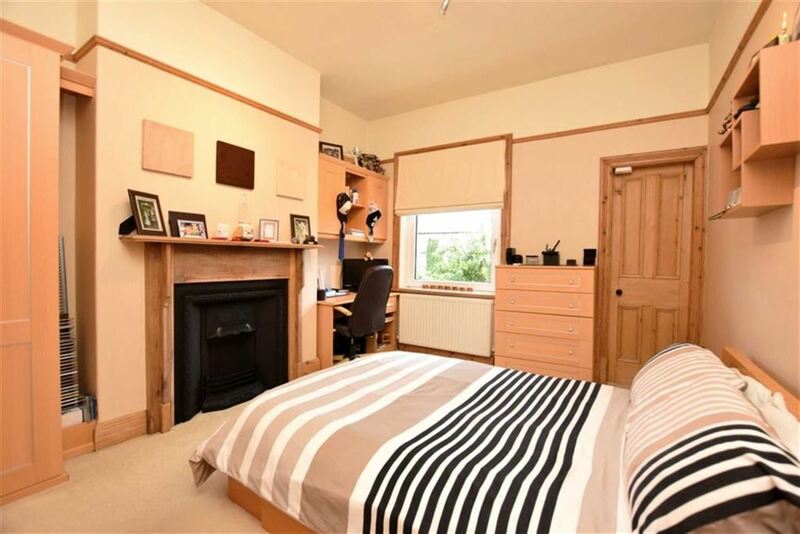 A spacious double room with a large double glazed window to the front aspect. 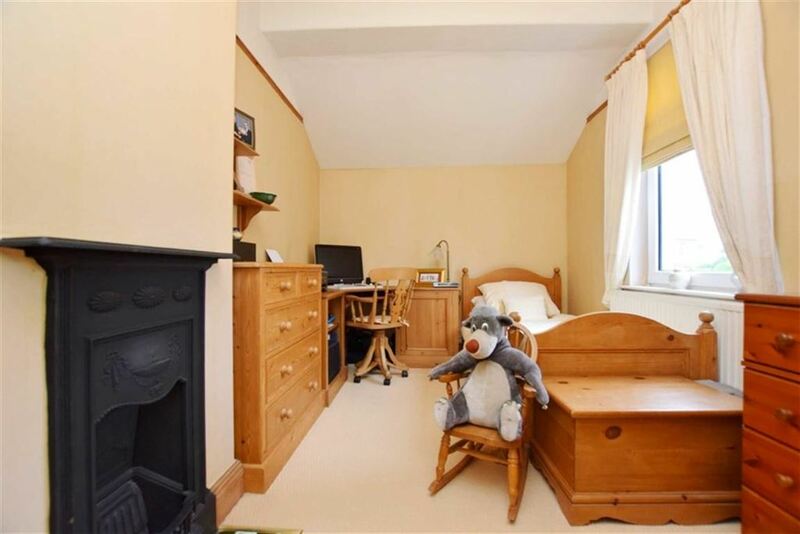 The room has a good amount of built in cupboards and wardrobes. UPVC double glazed window to the rear aspect. 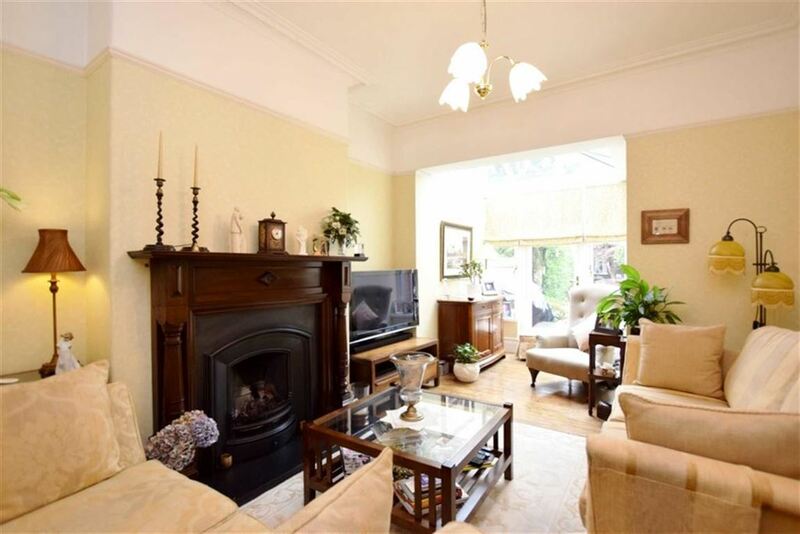 The central feature is the feature fireplace with wooden mantle and surround. Picture rail and fitted cupboard. Single radiator with thermostat, two double power points. 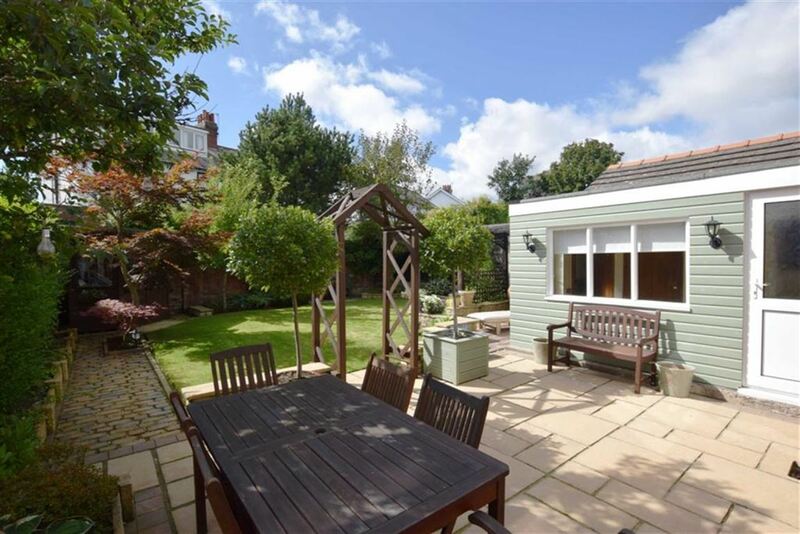 A lovely light and spacious double room with a rear aspect and view of the garden with built in storage. The gas combination boiler is located with a cupboard. Feature cast iron fireplace with decorative hearth. With picture rail, single radiator with thermostat. Two double power points. 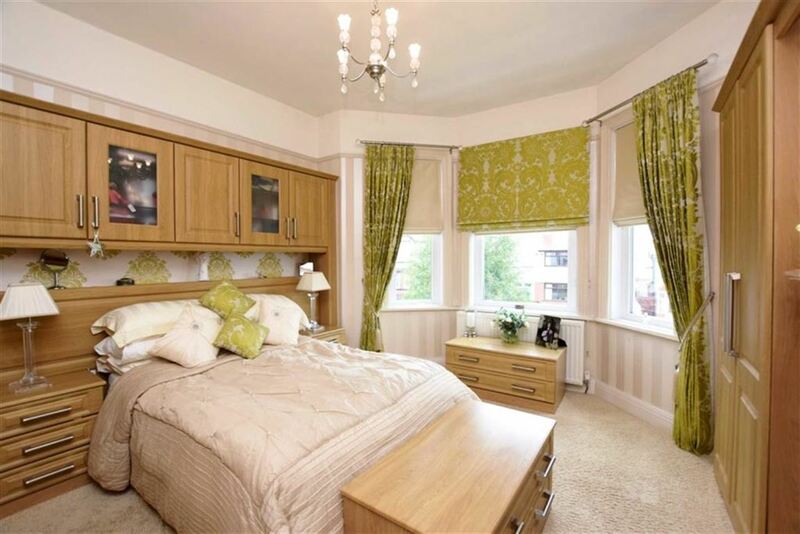 An attractive room with a side aspect view.. Fitted carpets. UPVC double glazed window to the front aspect. Contemporary four piece suite in white. 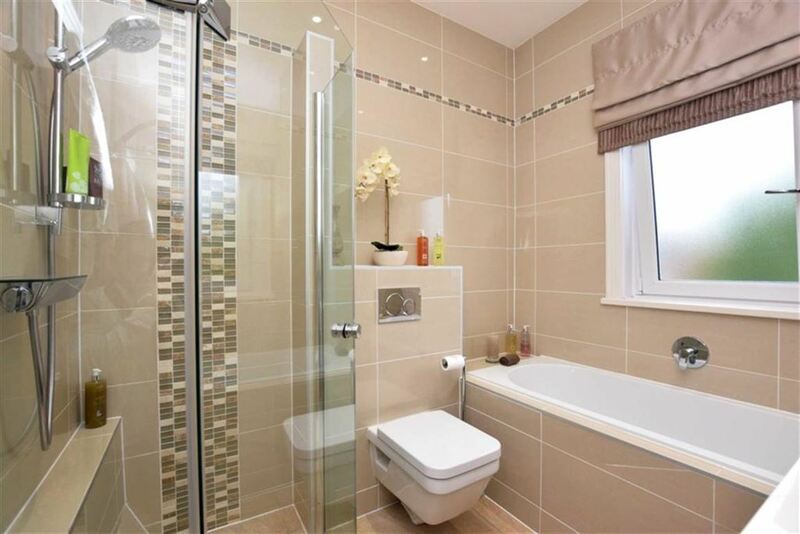 Low level bath with mixer tap Low level flush WC and vanity wash basin. 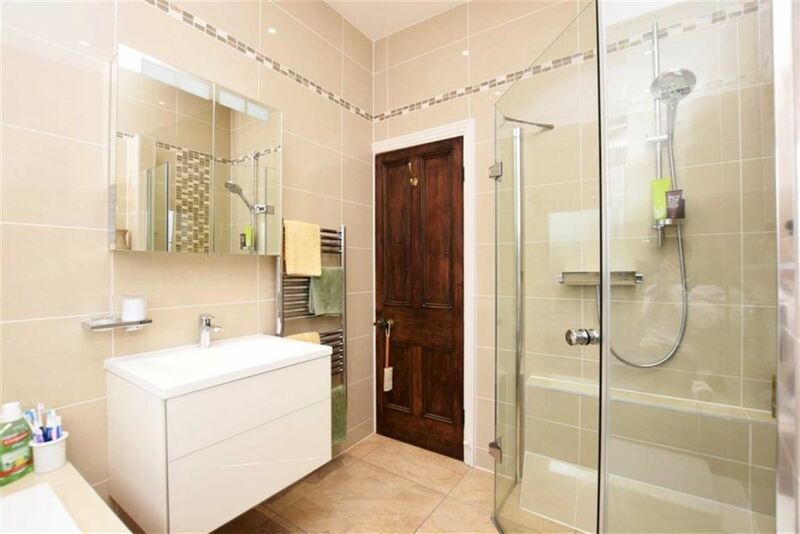 Shower cubicle and wet room style floor and thermostatic shower. Complementary full tiling. Dual heated chrome towel rail. Tiled floor with underfloor heating. Suspended floor and fully boarded. This has light, power and a velux window. Excellent storage facilities and has a ladder for access. The garage has lights and power. This is accessed by up over doors. 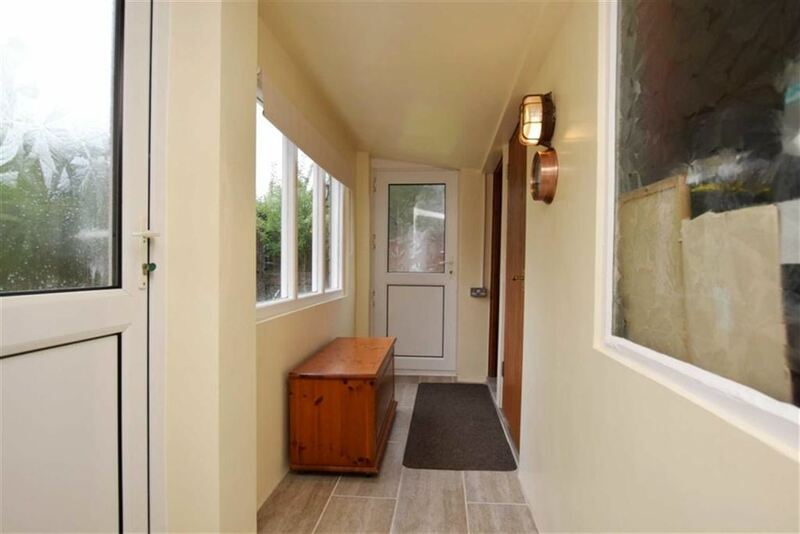 Has a double glazed door leading to side courtyard. Stone driveway for two cars, garden mostly laid to lawn with decorative borders. Fence and hedges surrounding. 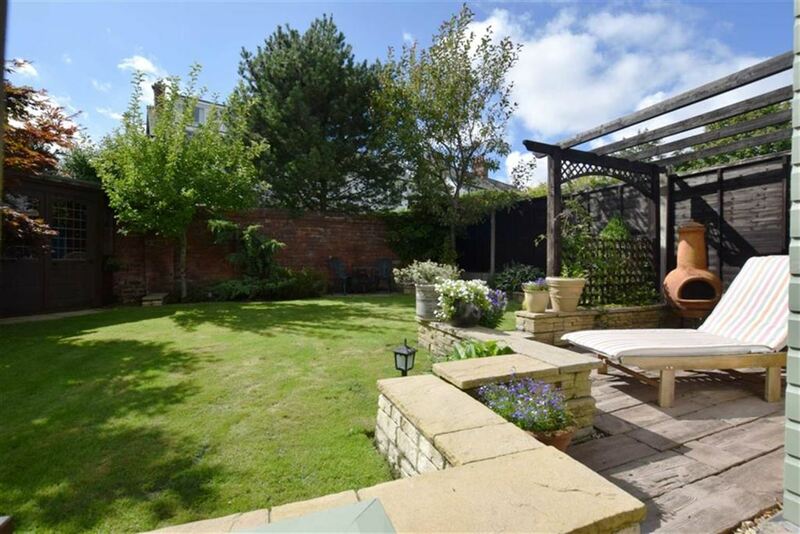 An attractive rear garden which is mostly laid to lawn, with decorative borders, two walls and a fence surrounding. 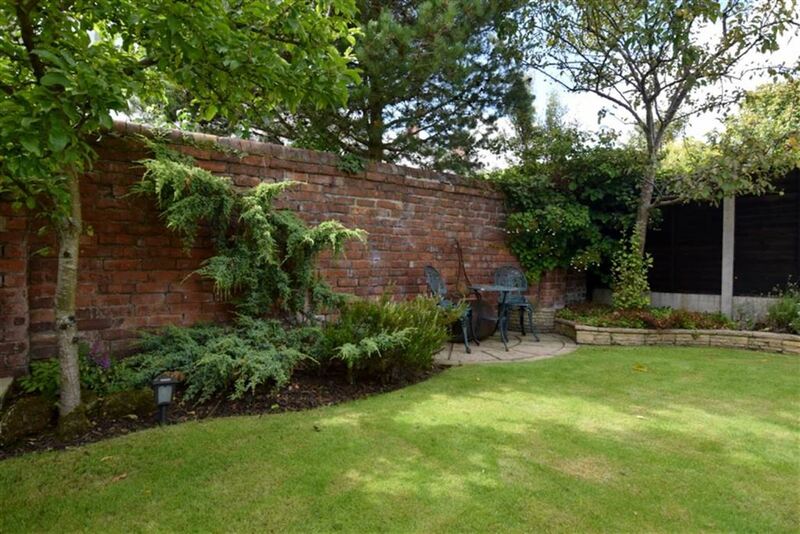 There is a charming brick pathway taking you to the patio area next to the house. 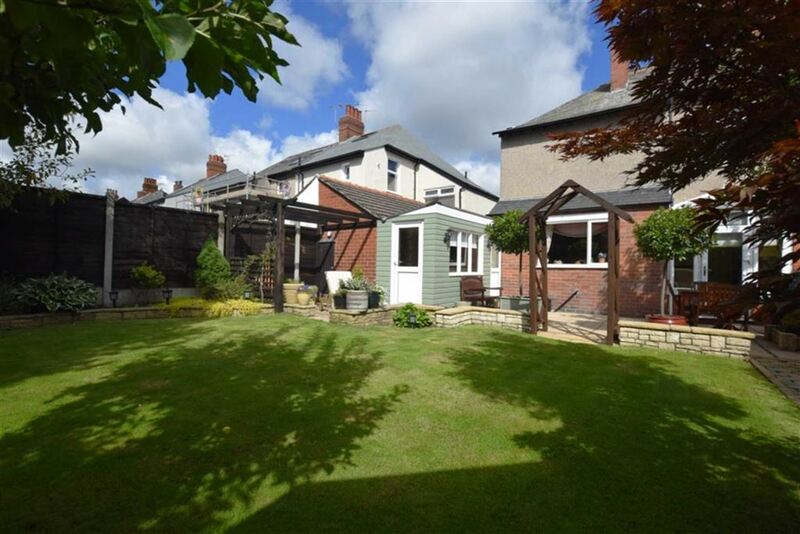 To the rear of the garden is a small additional patio patio area and a summer house.